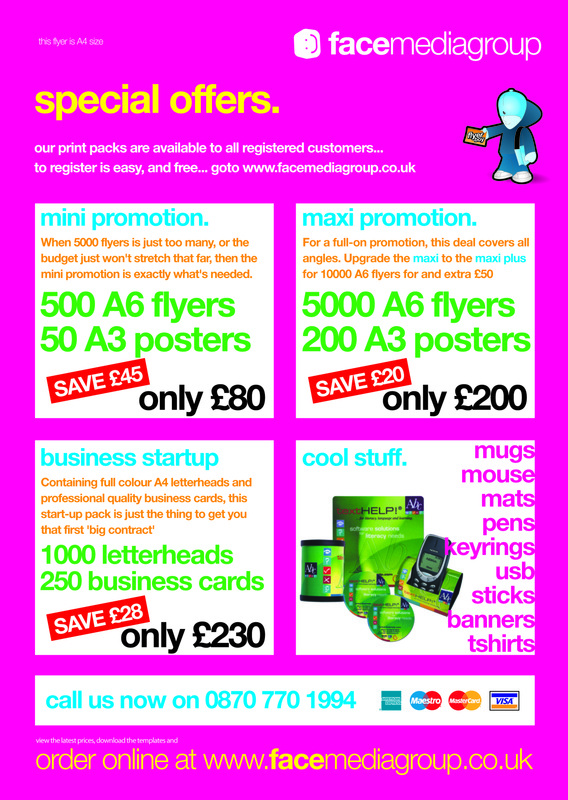 Servicing the whole of the UK with full colour print - flyers, business cards, letterheads, leaflets... banners, posters, stickers... pretty much anything with ink on it (except money - we don't print money). The majority of the facemediagroup staff live in Worthing, born and bred - thats why we like theworthingpage - its Worthing, and so are we. facemediagroup are very happy to support Worthing organisations and good causes - so if you run one, get in touch, and we'll help with your printing where we can. 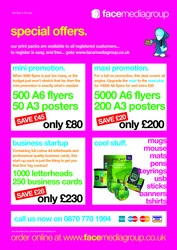 We also build great websites too - and pay a £50 referral to anyone who brings us a hot lead, who buys a website from us. Have you used Face Media Group? It's not just all about print... we do websites too. 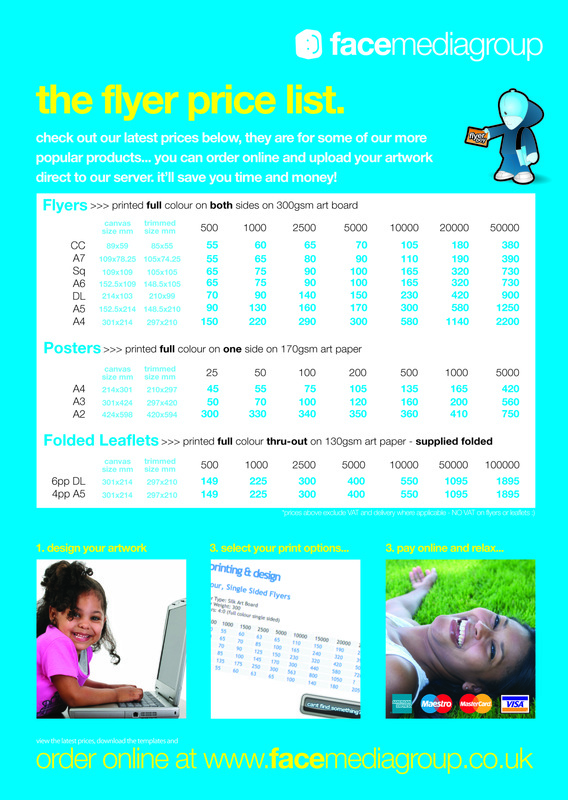 When talking print, all prices exclude VAT. 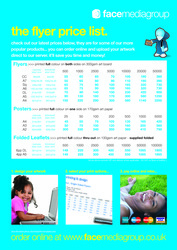 most print is vatable, unless the item is 'throw away' - such as a leaflet or flyer. Mention 'theworthingpage' when you contact us... just so we know, and can look after you, in our own special way.